The Steam Laser Mk. II is a Hydro type weapon upgraded from the Steam Laser Mk. I. With more heat, more laser, and more awesome than ever before, the Steam Laser Mk. II truly brings the fight to the Iceberg mice. State-of-the-art targeting chips have also been added, to ensure pin-point laser accuracy and split-second timing, which definitely helps against stronger and faster mice. 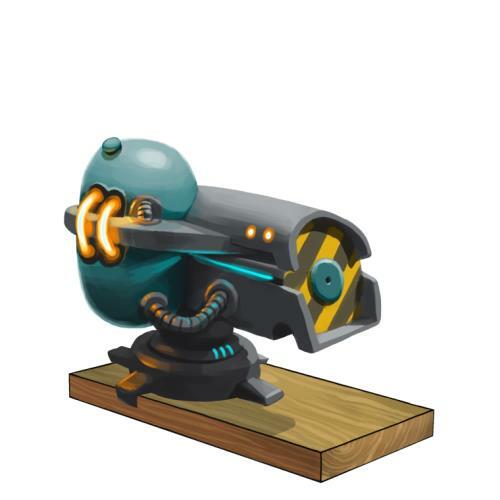 The Steam Laser Mk. II is not sold by any Trapsmith. It can only be crafted given the proper ingredients. The Steam Laser Mk. II provides an additional 1,250 Power and 2 Luck in the Slushy Shoreline and Iceberg. On the first catch of Icewing with this trap armed, the trap will be converted to Steam Laser Mk. II (Broken!). 27 May 2012: The Steam Laser Mk. II is crafted for the first time.